A high quality Broadband connection is a business necessity. We have a range of broadband options available to meet the needs of your business. As technology continues to evolve, more and more critical business applications are moving from on-premise server based to solutions into the cloud. To work as efficiently as possible, it is essential all businesses have the most reliable and secure connection for the budget available. As a vitally important business service, our Business Broadband packages provide the bandwidth and up-time on which you can run your business efficiently whilst ensuring productivity and security are not compromised. Our broadband solutions ensure businesses can run VoIP systems, IT, CRM platforms, Accounting software such as Quickbooks and Xero and more. FTTC broadband for business is an ideal product for those looking for something faster than ADSL2+ broadband. The latest Fibre Broadband technology is now available to over 16 million premises across the UK. We work with a number of the UK’s leading FTTC providers including BT Fibre Broadband, Gamma and Vodafone. Depending on your location, FTTC Broadband has a maximum download speed of up to 80Mbps and upload speeds of up to 20Mbps at very competitive prices. With unlimited usage allowances on every connection, this service is great for businesses that use cloud-based applications or have bigger data demands. Every FTTC service from Keytech Networks comes with a high-specification business grade router. This service is best suited for the heavier business internet user. Keytech Networks supply a full range of business-grade broadband solutions, including traditional ADSL2+. With download speeds of up to 17Mb on our ADSL2+ broadband circuits, sourced from the UK’s leading carriers including BT, Talk Talk, Gamma and Vodafone. With every connection that we install and setup, a highly resilient business grade router will be supplied. This service is aimed at the light internet user. A specialist broadband product designed to support our Hosted IP Telephony service. Assured provides all the elements of the end-to-end IP Telephony solution – a Cisco router, business-grade broadband and an IP Telephony service. This product provides small to medium businesses with product options of between 5 – 30 concurrent calls and prioritised voice traffic across the network. Businesses can choose from Voice only (Assured Broadband) or Voice and Data (Converged Broadband) dependent on their business requirements. Further benefits include prioritised voice traffic across the network, UK-based 24/7 support and exacting service level agreements (SLAs). A separate Broadband connection will be required for Data use when customers select this service. Keytech Networks offers cost-effective access delivered in half the time of fibre optic Ethernet and without compromising quality or service levels. Delivered using up to eight copper pairs, EFM is inherently resilient ensuring business continuity and giving you the peace of mind to focus on running your business. 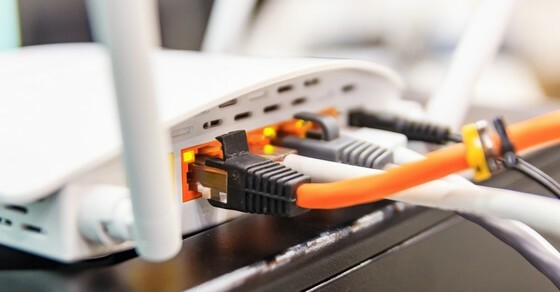 One of the most recent developments of the Superfast Broadband technologies, EoFTTC delivers high bandwidth connectivity options up to 20mb (uncontended) at compelling prices. EoFTTC, as the names suggests, is based on FTTC, therefore, it offers guaranteed speeds of up to 20Mbps each way. It provides dedicated bandwidth just for your business with 24/7 support. EoFTTC is perfect for businesses who require leased line and fibre Ethernet type services without breaking the bank. This service combines Assured IP Telephony and internet access using just one circuit, Converged Broadband provides an end-to-end telephony and internet access from a single supplier. Additional benefits include a Cisco router and UK based 24/7 support. Each circuit is tested for suitability and each product comes with unlimited monthly data allowances. Keytech Networks are pleased to offer a full range of Fibre Ethernet services which are highly-reliable, secure and provide fast data connectivity. Provisioned over a dedicated, secure, uncontended business-class connection for all your voice and data traffic, Ethernet services or Leased lines are ideal for organisations wishing to converge voice and data on a single connection but need resiliency and guaranteed up-time. A site survey will be required to assess the availability and viability of installing this service in your business premises. This service is necessity for data hungry business users. The team here at Keytech Networks, have the knowledge and experience to advise and recommend the most suitable product for your business. Get in touch with us and discuss the options available to you. If you are interested in further details please contact us to receive a copy of our latest Connectivity Product Brochure.